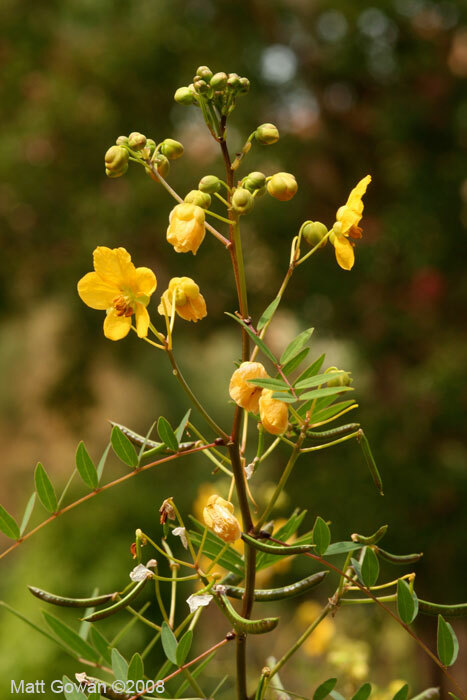 The senna plant (Senna alexandrina or Cassia Officinalis) is the quintessential herb for acute constipation. The ancient Egyptians first recorded its use, and it remains one of the most popular constipation remedies. The active ingredients are the sennosides, a type of anthraquinone glycoside found in both the leaf and seed pods. These glycosides are prodrugs that are not significantly absorbed nor have an effect on the upper intestinal tract. Instead, bacterial enzymes in the colon cleave off sugars from the anthraquinones to liberate the active drug. Free anthraquinones stimulate the nerves of the intestines (myenteric plexus) to cause an influx of water and promote peristalsis. Take senna before bed to produce a bowel movement 6-9 hrs later upon rising. Although senna is generally considered safe, it can produce significant cramping pains. Combine with carminative herbs like fennel to mitigate the effects. Senna is only recommended for short-term use because it may cause dependency after a week of use. Although anthraquinones are poorly absorbed, a small amount is excreted by the kidneys making the urine reddish-brown, which patients sometimes mistake for blood.